What’s the secret of an Easy Pumpkin Pie Milkshake? Can you guess? I will give you a hint! It’s in the title! Yup, that’s right! The secret ingredient is Pumpkin Pie (my favorite pie recipe by the way!)! And to make this more interesting, this recipe is one of my 4 ingredient desserts. 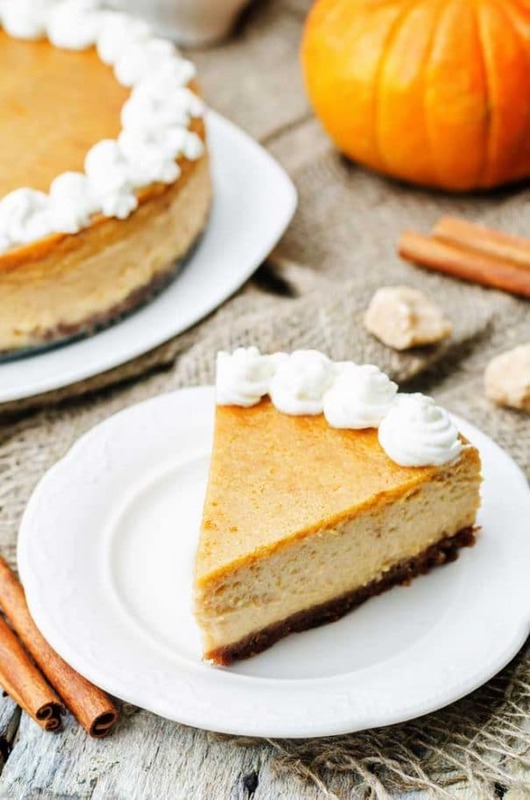 This 4 ingredient desserts recipe calls for 1 piece of pumpkin pie that you’re going to add to the blender along with a few other simple ingredients. You can use any simple blender for this recipe. I used my Hamilton Beach Multi-Function Blender. Don’t you love that you’re drinking pumpkin pie? Pumpkin pie is one of my favorite parts of Fall so I’ll eat or drink it any way I can! So if you’re in the mood try something new for your Thanksgiving desserts, or you are craving a Fall flavored milkshake, or you want to use all that leftover pumpkin pie, or you just have too much pumpkin pie to eat (I know this is hard to believe, but it happens!) 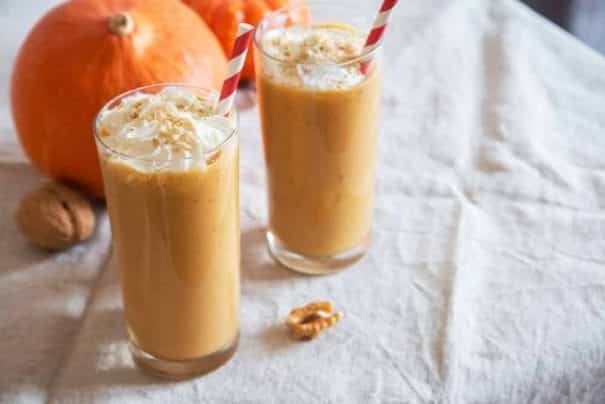 then I hope you try my Easy Pumpkin Pie Milkshake! Enjoy! Some more Thanksgiving desserts ideas that you can wow your family with are Easy Pumpkin Pie Recipe and Pumpkin Roll with Cream Cheese Filling. Add all ingredients except whipped cream into a blender. Blend until smooth. Pour into 2 glasses. Add whipped cream on top of each. Serve with a straw and a spoon! Yes, you are adding a slice of pumpkin pie to the blender! This is a great recipe to use leftover pumpkin pie. The recipe calls for 1 slice of pie, which is 1/8 of a normal sized pumpkin pie. sounds great, how about using pumpkin ice cream??? Hey Lei, you absolutely could use pumpkin ice cream instead of vanilla! Enjoy the milkshake! Sounds like a great day-after-Thanksgiving treat! This sounds amazing! I have to try it! Thanks for sharing at Inspire Me Monday! YUM! What a neat idea! How fun! I love that they use actual pie! Thanks so much for sharing at the #happynowlinkup! Sounds yummy for a festive fall spurge. Thanks for sharing at the #InspirationSpotlight party @DearCreatives Pinned & sharing. Fab idea! Thanks for sharing! That milkshake looks so good! What a great way to use up leftover pumpkin pie! This milkshake looks divine. Thank you for bringing your delicious fall treat to Fiesta Friday this week! Happy Fiesta Friday! 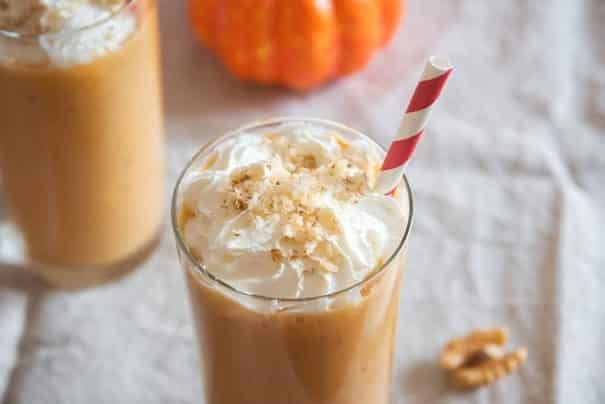 I haven’t had pumpkin milkshake before, but I bet this tastes so good! Thanks for sharing at Fiesta Friday party! Have a good time! 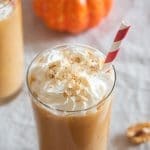 I love milkshakes and love pumpkin spice lattes – SO, this milkshake appeals to me so much! Just perfect for the season. Pinning! Just stop. This looks and sounds like perfection! Thanks for sharing this in the To Grandma’s House We Go Link Party! It has been pinned. Remember to follow all of us and we hope to see you back this Wednesday!